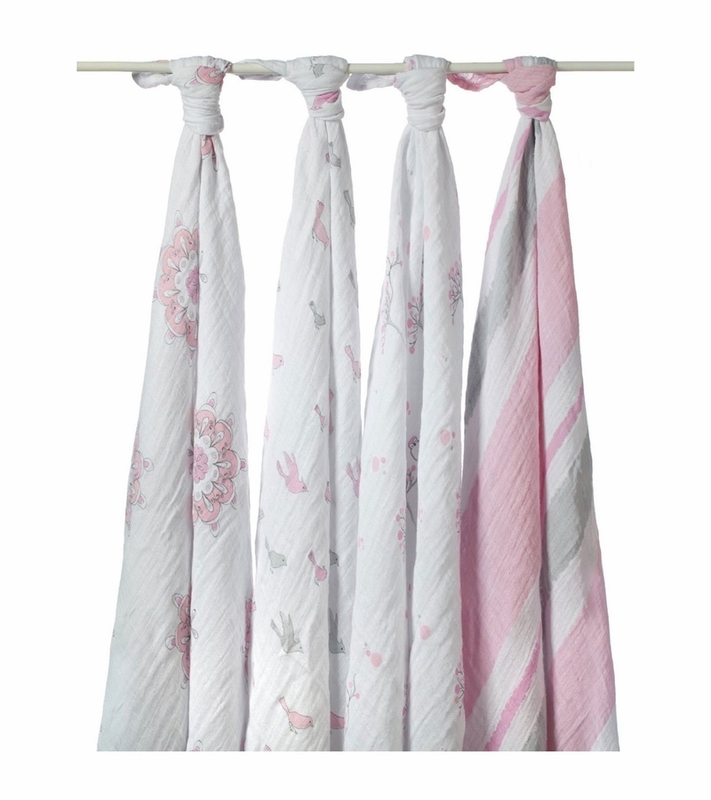 NEW 'for the birds' pack of four 100% cotton muslin swaddling wraps. Super cute prints included are an owl in a tree, birds, paint stripe and medallion in the colors pale pink, peony pink, silver grey and slate grey. aden + anais� wraps are the ultimate in breathability and softness. The fabric�s light, open weave allows a baby�s body temperature to regulate itself naturally, helping to reduce the risk of overheating. It is gentle on baby�s skin and durable for everyday use. 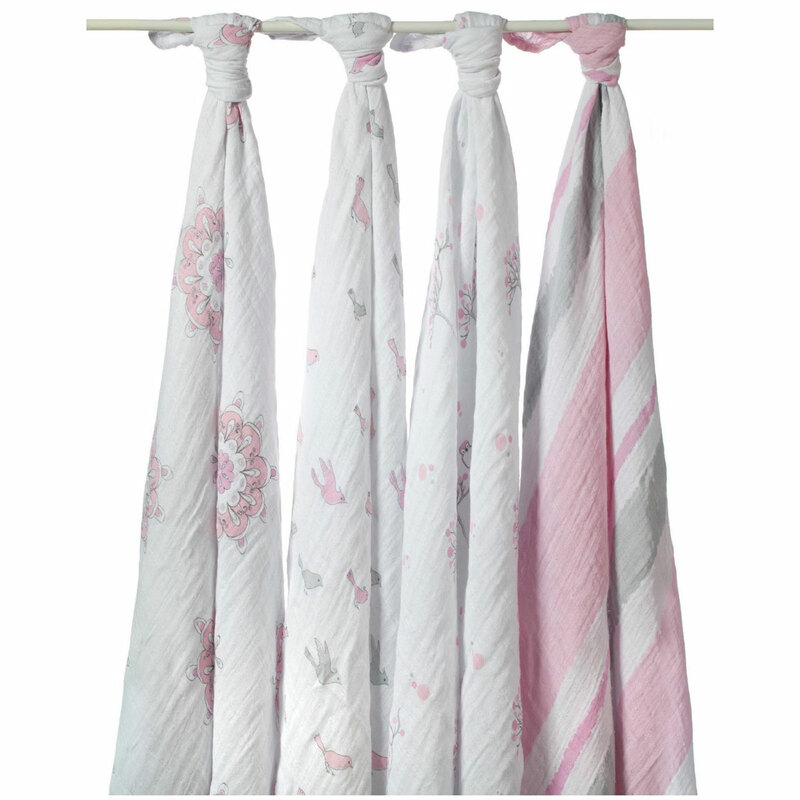 The more you wash aden + anais� wraps, the softer they get. aden + anais� wraps are extra large, measuring 47� x 47�, so that new and seasoned moms alike can swaddle babies of all sizes with ease. Traditionally used for swaddling, our wraps can also be used as burp cloths, nursing and stroller covers, portable crib sheets, stroller and car seat liners, tummy time blankets, change table covers, and more.